For those suffering the ravages of an Archudrought, Miami this week was an oasis in the desert. The last two days have been like a refreshing shower after a dust storm. I have been trying to cope with my own David-deprivation by reading and re-reading the posts here and going to The Voice Unplugged to chat with and get support from others sufferers. All of us hoping against hope that the Jordin Sparks Experience would give us a drop or a morsel to get us through till a book signing tour with maybe a song or two. I was so glad Jordin invited David. I have always liked her and now I’ve gained a huge respect for her. She is egoless. She had David up front and center with her and when she introduced her friends she looked right at him. David appeared to be her guest, not a sidekick. He was at her side throughout the events smiling and looking so happy, swollen cheek and all. 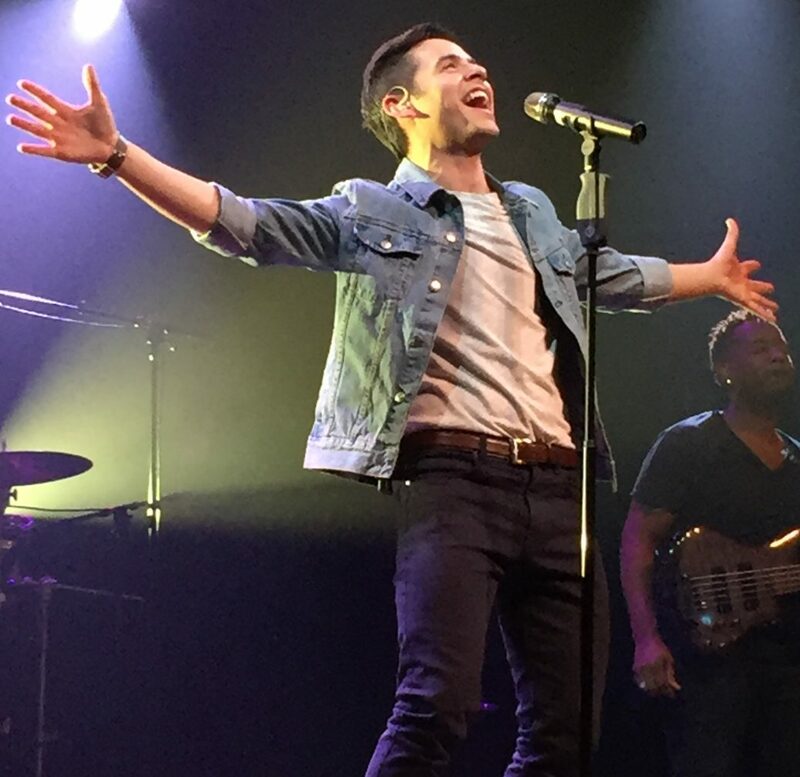 Back in the saddle and up on the stage again, David sang Crush and one of his best performances of Apologize yet, and that is saying something. First thing I noticed was the change in his voice. Could his voice have possibly improved since the 2nd of December? Deeper and even richer if that’s conceivable. Jordin sang her set and then “WHAM,” right in the gut! I had been so thirsty and now, I’m having trouble breathing. David left me with “No Air”. And he sucker-punched me twice in one day. The vocals, the runs, the swagger up to the stage, the tie, the shirt, the pants, the moves. This week, lest we forget, he proved once again what a phenomenal artist and person he is. Now that we have survived the Archudrought a little longer by slaking our thirst in Miami, we face a tougher ordeal ahead. Will we survive The Voice’s 3rd album tour as he takes it to the next level and possibly busts loose with some sweltering dance moves? I get breathless just thinking about it. This entry was posted on Saturday, February 6, 2010 at 5:03 AM	and is filed under Uncategorized. Tagged: drink up, no air, R&R at the oasis. You can follow any responses to this entry through the RSS 2.0 feed. You can leave a response, or trackback from your own site. Oh djafan, who knows what’ll happen next? I’m scared. Jordin truly seems as sweet as ever. They sounded FABULOUS together. I’m stuck in Youtube. Have a great day everyone! oh, and FYI, that last picture is illegal in 15 states. 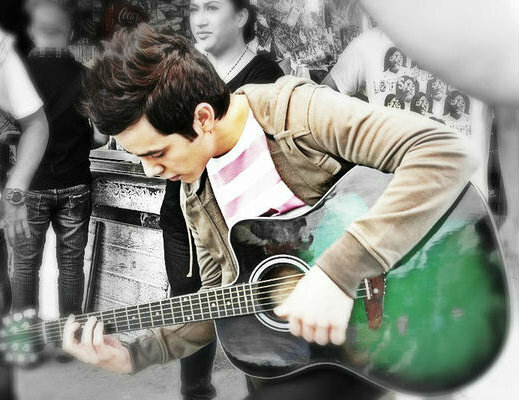 FG#2 Bahahhahahhahhahah!!! You so silly! Really? Djanfan – I like and agree with what you said about Jordin treating David as a “guest” and not a “sidekick”. There was so much RESPECT going on up there on that stage it was RIDICULOUS! I can’t even imagine what David’s next album will do to us — blow us out of the water, over the rooftops!! And Tour? OMG! Can’t wait!! And book signings, I hope so! Good Morning FG and Angelica! I too am stuck in YouTube with NO AIR!! 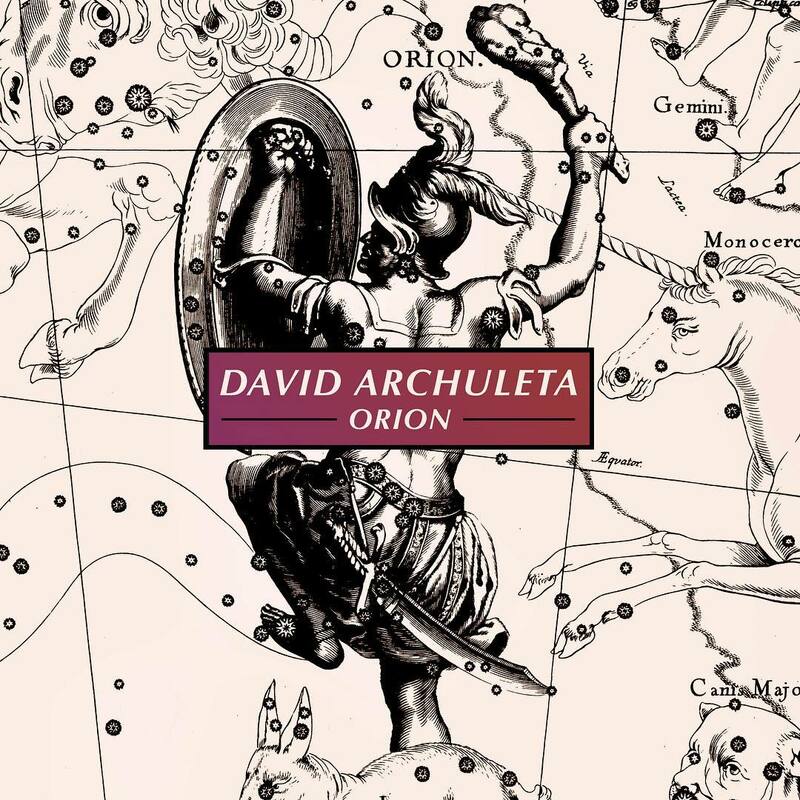 SB, we really are a fortunate lot, the worldwide fans of David, holding on “with no air” for the next stage of this balloon ride as we head off into the stratosphere. Will need to amp it up to catch the visual as well as the audio. What we do for David! Thank you for an interesting review of the Miami event. I have a sure fire way to avoid missing any “drips” of water during the drought. You can find me with my head tipped to the side,mouth open, and tongue extended under the David “faucet”. I was discussing something I spotted in the later No Air video. David has something dangling from his belt buckle. Like a charm, maybe? Trendsetter David! I hunted around trying to find something similar. Here is a belt charm I found to explain what I am talking about. Its 2inches tall. The one in the video looks “dangly’ like a small chain. Is this a new fashion accessory? Djafan-so awesome!! I had 2 seconds to come here and was so surprised to see a new post. I have felt deprived the last two days cause my time has been taken up with caring for 3 of my darling granbabies and I haven’t been able to spend quality time listening and watching all these amazing videos from jorvid, but the few seconds I have been able to glance at them have been glorious!!! Enough to keep me going anyway!!! Jordin and David are amazing together! Abrra, David wearing a “bling” thing? He is full of surprises! Now tucking in, sprinkling in a little smooth move here and there. Something is afoot. I tried to screencap this — look at the way Jordin is looking at David, and look at the way David’s hands are clenched! 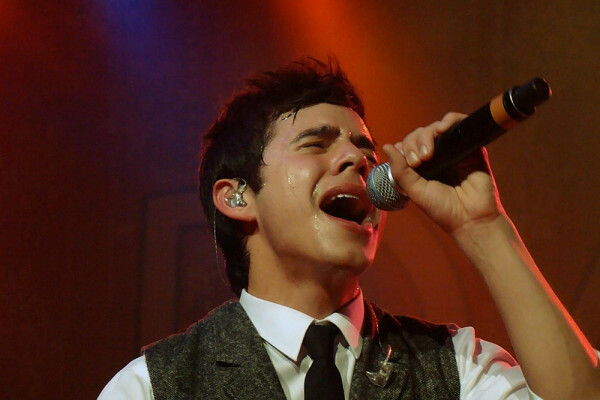 So passionate! FG…Oh djafan, who knows what’ll happen next? I’m scared. Pabuckie…here was so much RESPECT going on up there on that stage it was RIDICULOUS! I was really impressed, she didn’t feel threatened by David outperforming her. This also surprised me, it wasn’t something I would have looked into myself, if it were not for David’s involvement I wouldn’t have been exposed to the needs of the hearing impaired. Abrra…You can find me with my head tipped to the side,mouth open, and tongue extended under the David “faucet”. LOL….by the looks of it there are many of us hanging around that same faucet. 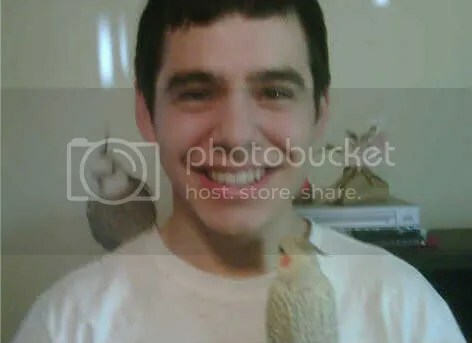 Angelica…the more I look at that picture I believe more states will be making it illegal…What a stunning young man! Oh My Gosh! I have watched the videos a thousand times and can’t get enough! The pics are …..well……I can’t breathe! They are plain awesome! 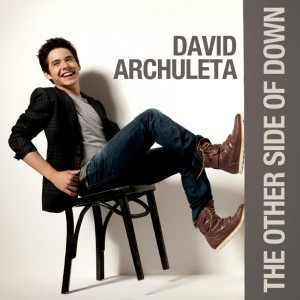 David sure caused a stir in the music industry and I love it! Thanks so much for the great post and pics. And to answer your question……can we survive another CD? Gotta catch my breath first…..but heck yeah! PS. FOD is down. I hope it isn’t another deal like at snarky’s ……keep safe! I was on the phone with a close associate who confirmed my “shiny ,dangly, thingy” observation. Have you determined it it was something you gave him? I sure hope WordPress (this blog) uses protection! dja, lol – “The last two days have been like a refreshing shower after a dust storm”….more like a drenching sweat! 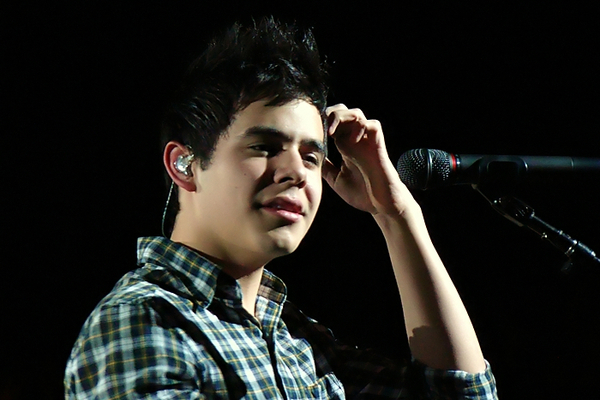 Keep wondering if the No Air videos can hold me over until the next David event….IDK, they are more than capable. But this insatiable thirst for more is crazy. Each incredible appearance he keeps taking us to a higher level of euphoria. Next album, kinda scaring the bejeebers out of me! 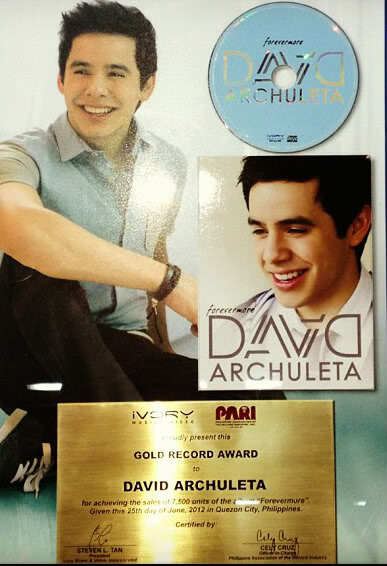 Abrra, “the David faucet” lol! Aaaah, may it never run dry. Seriously – a charm? Hasn’t someone enlarged a clear photo of the belt yet so we can see if there is a charm???? I think my brain just exploded. Seems so out of character for him to waer something that would draw attention to his belt. If he did this, he shall need a stern talking to. You saw the boy’s moves in the video? How the heck can we get a clear screen shot? There is definitely something flipping on that belt buckle. Emmegirl….But this insatiable thirst for more is crazy. Each incredible appearance he keeps taking us to a higher level of euphoria. Couldn’t have said it better…it’s crazy! 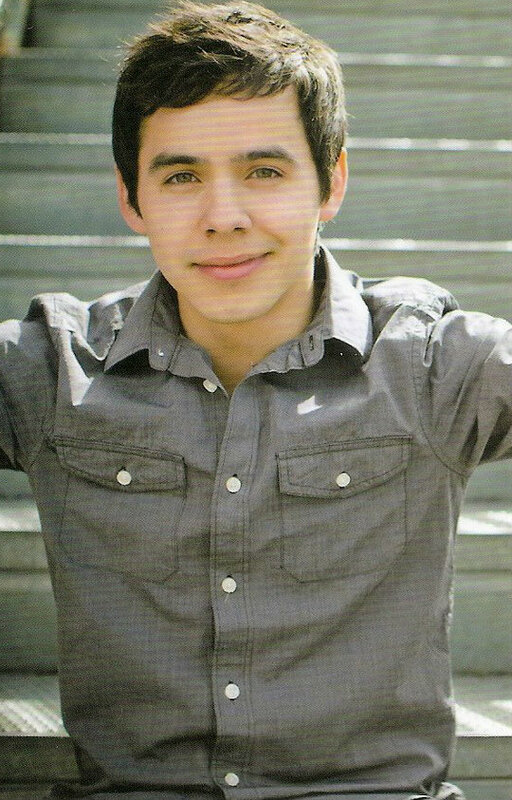 FG… David is growing up before our eyes! If you haven’t watched Angelica’s new slideshow, do so….another work of art. Up top right hand side…an eye feast. Ram…YAY your back….love your comments. Munkmusic..can we survive another CD? Gotta catch my breath first…..but heck yeah! abs what about a pic from the car pics? A professional photo of him standing?? I took a shot at 400% zoom level and it’s not very clear so maybe the resolution on my computer is not the best for detail. And if you are going to try this you NEED to stay focused. OK? Oh yeah, and on this video I forgot to breathe cuz the audio was so good and so I got lost somewhere in it and I just woke up a minute ago. Lost consciousness due to lack of oxygen so be careful. lol but seriously watch out! Will now go check out the slideshow. You people are a hoooot! Jordan designed a silver pendant (pennyroyalsilver.com) Thirty percent of the royalties go to her charities, including mobile medical clinics for Haiti. I wonder if that is what David was sporting on his belt. “Tell me how ya gonna be without me” – that one line has me climbing the walls. Betsy- You need to know there is “NO AIR” on that slideshow. THEY DON’T WARN YOU. I now have spots before my eyes. “Tell me how ya gonna be without me” I feel I am fading fast. Betsy….the “me” sang “meeeeeeaaaa” kdikefhofoiwerj! Tell me how am I supposed to leave for work in a few? djafan: Loved your article! We got treated this week with more than we expected in the “No Air” duet. Who knew the the pairing of David and Jordin would work so well?! I, too, voted for Jordin when she was on AI and now I respect her because of how respectful she is to David. He’s been tweeting about not being able to figure out what melody is in his head. Uh David, time for a vlog. I’m sure if he hums a few bars to us, within seconds, one of his more than 300,000 twitter followers would have the answer. Bebe…Who knew the the pairing of David and Jordin would work so well?! That vid Ram put up is addictive… watch at your own risk. Sorry Ram for the lack of warning on the slideshow…you’ve all been warned. Brought this comment by bliss over from the video Ram posted…well put. 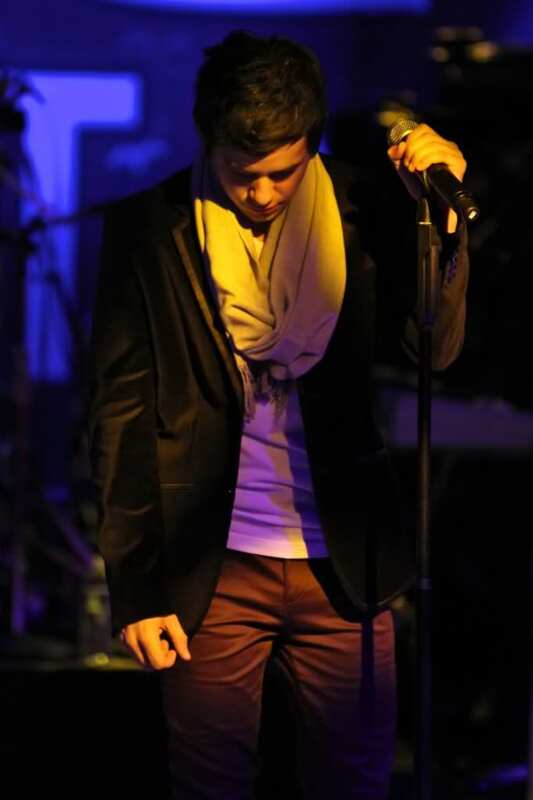 Is there anyone left who does not think that David is the most dynamic performer in the music business? He probably rehearsed this classic performance for about 5 minutes. Jordin has performed this song hundreds of times. There is no difference in﻿ the quality of their performances, and that’s being kind to Jordin. 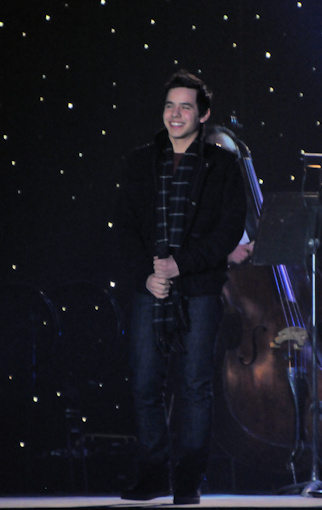 Also, if David gets any better looking, he’s going to have trouble getting anyone to sing a duet with him. If he grows to 6′, he’ll be tweeting us from the runway in Milan. I know I was not a good girl today. eh..
Must go now and pretend to be Betty Homemaker. 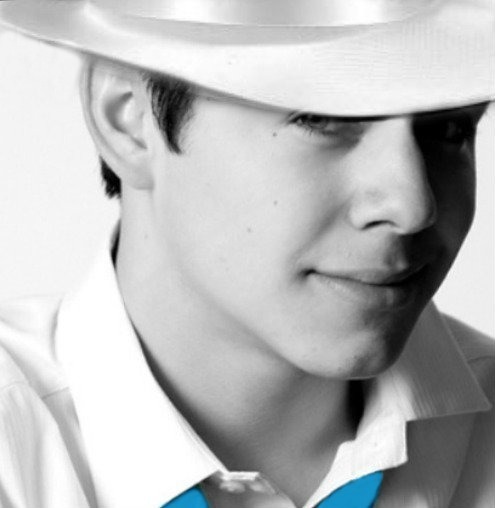 Who is going around messing with the ARCHULETA fan sites. Now Fans of David is having a problem — there are no comments. Hope what happened to snarkyarchies is not happening to them! Hi everybody.I think I am suffiently recovered from Westbury to put a coherent sentence together. Like all of you,I have been waiting for something to sink my teeth into since David’s epic Christmas tour. What I love about David is that,as a fan, you can never let your guard down. 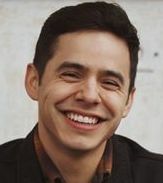 Just when we thought that we’d have to wait until his next CD, his next tour, or a hoped for book signing, voila, David hits the stage in Miami,and makes the Super Bowl seem like a friendly game of gin rummy. Thanks, Djafan, for bringing my comment on Youtube over here. David continues to surpass any expectations we have of him. If I didn’t know better, I would have thought that this was David’s song, and Jordin was invited to do the “girl” part for this performance only. Unlike his concerts, when we are overwhelmed by one great performance after another, this one-time performance, like “Contigo”, is more of a “gem” that can be enjoyed again and again so it becomes a unique and memorable experience. As for his physical appearance, I wasn’t kidding about the Milan reference. The modeling industry may have to rethink their minimum height standards in order to accommodate David. Whoever manufactures those pants he wore on that stage needs to get David on a runway ASAP, whether it’s in Milan or Hackenssack, N.J.
Congrats on this terrific site. It’s nice to see so many familiar folks here who love and respect David. After an exhaustive investigation the thing “dangling” from David in the NO AIR video is nonetheless his “zipper”! You can only see it when he kind of bends over which in my opinion is the top part of the zipper. Please feel free to go ahead and do your own “exhaustive study”. Whew! ram#25 – that not breathing thing, happened to me in Baltimore during silent night. Kind of caught myself before I passed out -luckily. Not sure if it’s strictly audio but maybe visual, as well. Even though the focus goes in & out, it’s probably one of the best close ups. 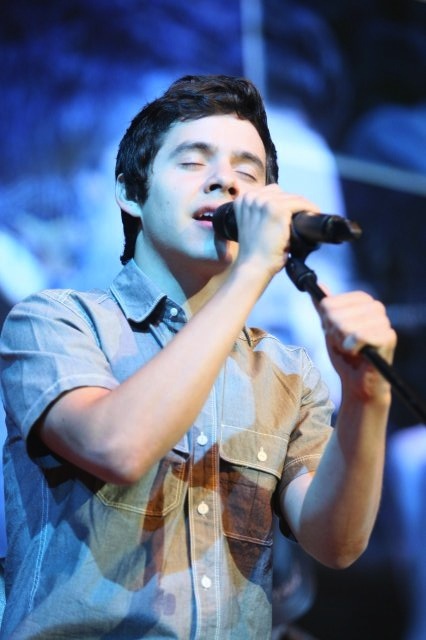 You can see the emotion he is putting into this performance. One piece of evidence — the video at #25 pause it at .27 seconds! bliss- I must agree with you about giving David all the props he is due. Apart from his superior singing abilities, he has the knack for making the most out of a pair of trousers or jeans, vest, tux jacket, skinny tie, scarf, beanie, t-shirt, white or dark, silk or cotton rolled up long sleeved button down shirt, plaid shirt of any color, v-neck, hoodie, running suit, toreador suit, Liberace inspired get up, … did I leave something out? Milan would be his playground. Did I mention the traditional Cuban inspired linen shirt and trousers? I can see that I have totally lost control here. Sorry, please forgive me Bliss. pause it at 1:34 – great shot of whatever it is – my screen gets all pixely when I enlarge – anyone else? Can you handle one more NO AIR duet? I dunno why, but lately, YT has some delays displaying my vids in the search results. Anw, enjoy the close-ups & the download link! PA – great job on your 1st vid posted in the previous thread! Looks like just his zipper to me. No charm. But very charming. Hey Bliss! Love your comments, both here and the one dja brought over from YT. Very well said and true, as usual. Ram and Xaris: Shoes! You forgot shoes in the list of clothing items David should model. He has a different pair of shoes for every occasion and he wears them well! JR#48 Thanks for the link! Love that video! For future info, there’s no need to include the letter ‘v’ in the url when posting videos on this site. I removed it for you; it’s a beauty! Jackryan4DA- Thank you for the download link. Yay! HD No Air. Never too much No Air duet. Xaris-thanks don’t know how I forgot the leather jacket! Sorry you’re snowed in. Heard about those storms up the Atlantic coast. Hope you all stay warm and safe. Regarding “L’affaire UDO” (Unidentified Dangling Object), I’ve examined the evidence under my handy electron microscope and, alas, Pabuckie is correct. It’s his zipper, dang it. Having worn a pair of pants or two in my time, when the pants are fitting a little, shall we say, “too well”, it tends to expose part of the zipper. Surely,no one could have thought that David, of all people, would be displaying any jewelry, etc. anywhere near that area of his body. Frankly, he doesn’t need to, if you get my drift. Bliss what an great surprise to see you hear and yes I have to agree if I didn’t know any better this is David’s song with Jordin doing the honors. He makes everything his. Pabuckie…thank you for your sacrifices of extensive belt, zipper, research. 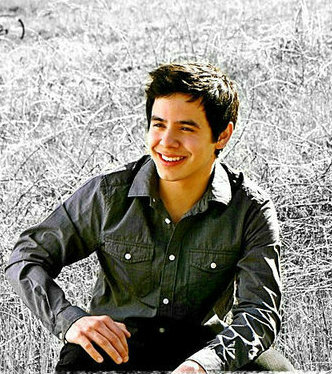 Xaris… I love the Baju Melayu traditional Malaysian outfit, David looked like a prince, maybe he is one from another time. JR…That is one nice video. 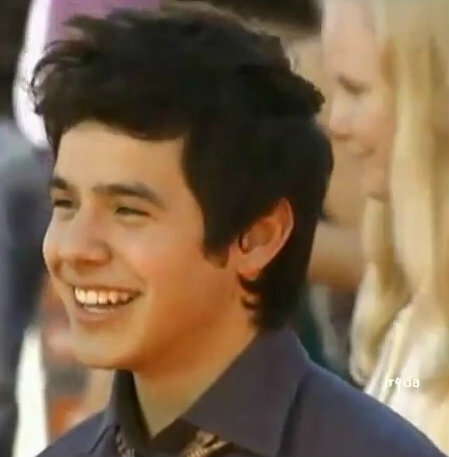 I like seeing the close ups of David, I’m still in awe of what he has done, again. Regarding the Unidentified Dangling Object – under further investigation it really isn’t dangling from the Belt. Look closer because otherwise you would see it all the time. It’s only exposed when he leans forward — thus, the top part of the zipper! People, let’s stay focused. And like I said earlier DO NOT FORGET TO BREATHE. Yep, it’s bout supper time round here. Ha Ha Ha Gotta go before I get slapped silly by the fashion and good taste polize. Thanks for the warm welcome. I like it here already. At least we don’t have 44 pages of discussion on it! Just a few. Welcome Bliss to The voice. Considering your “experience” I will agree with your determination of the “shiny, dangly” zipper thingy. Oh yeh, one more thing. All you rubberneckers, step away from the screen. There are some people conducting some very important research. Dr. Angelica “do yur thang”. Does anyone think David is heading back to Utah? Nashville? Stuck in traffic he said an hour ago! I missed his tweet. As you said, “It’s nice to see so many familiar folks here who love and respect David.” This is what everyone here does best, welcome! That strange smile is all too familiar and I know that each of us knows of it and makes it often!! ABRRA – Thanks for creating that APOLOGIZE vid. I created an HD file from it, in MP4 & AVI format. They are uploading to my mediafire. And with that, am stepping away from the Miami Event. I see that you have stepped into err… charmed territory 😉 That ain’t gonna help me, still gasping from the twin punch of No Air! Good day/night and TC everyone! What a great day of love for David! Thank you both for this…that is what we strive for. I can’t express how much I LOVE the new wallpaper you put up in the video /chat room! Perfect placement and editing. SandyBeaches, good to “see” you again. We met all too briefly at the Westbury VIP. I always enjoyed your commentary, whether we were in agreement or not, and I look forward to more of the same here. Abrra, your CD is my constant companion. Glad you like it. It’s on in my room 24/7. Very soothing to hear him. Bliss…I know that I agreed with you more than with just about anyone and I always enjoyed your comments. Westbury was a brief meeting but we are all looking forward to the next tour and a big gathering…A finale can not be missed. I was browsing on YouTube recently. 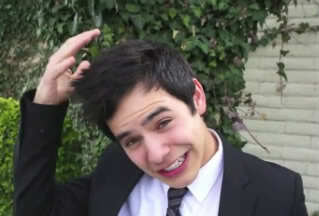 Is there anyone in the public eye that has more “tribute videos” devoted to him than David? If I didn’t have such an “issued computer” and the technological ability of a tse tse fly, I’d give one a whirl. I’ve enjoyed and been moved by any number of these videos, some created by the talented folks here. Props to my partner in Archu-crime, Pabuckie, for a great video on her first try.. 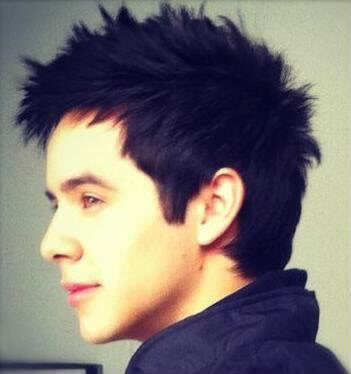 When it comes to David, we’re all “looking through the eyes of love”. Bliss… I have noticed, there are hundreds of them. I’m amazed at the out pour of love for David. Would love to see a video by you…work on that issued computer and get started. Last night Bubbly asked me about a photograph she wanted. I must have copied her email incorrectly because it came back. Bubbly here it is. You can save it from this post. JR found this photography site. The 2 David’s in Manila. Enjoy, go forth and copy. It’s been so fun reading this this last two days. You all have me laugh out loud silly and I love it. I think we need to make David a belt charm and send it to him! If we tell him it’s a “chastity charm” and the proceeds go to VOICES WITH A CAUSE he might even wear it. j/k But does anybody else wonder when we get tweets from David about traffic if he is driving and tweeting? Prithee nay, David would not do that! Would he? I love Jordin Sparks and am so impressed with her poise and talent and love. And yes I do hold a special place in my heart for Robbie Benson somehow too. I had to pull it out and dust it off though. Last night I saw a promo for a remake of ICE CASTLES but surely it could not compare. 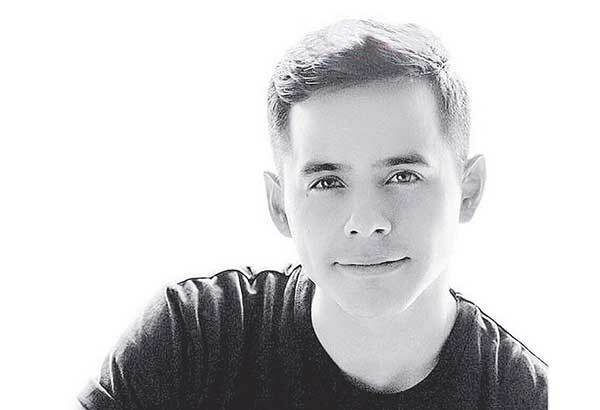 In this month’s PSYCHOLOGY TODAY magazine there is an article about our early love experiences affecting us later on in life, and so it would make perfect sense that our crushes on a dark haired, sensitive young man with pretty eyes and talent would lead us all here again. .haha. I actually sat in the grocery store, reading the magazine and thinking about all of us, feeling a little more “normal” for a few minutes. And then i signed on and realized normalcy is a lost cause here. We can name our charity “Voices for a Lost Cause” if we ever get around to it. Oh my, these comments are so scattered. I really did just comment to say I love you. And to quote BEBEBEBE (((( group hug))))) Thank you for all the fun! Emi- It’s a great time to be living in spite of it all. Thanks to David we have some really awesome friends across the miles all over the world. that’s all I’ve got to say! PaBuckie: Wow! Great video! I’m jealous of your new skills! Perhaps after tax season, I’ll try my hand at it too. You’re inspirational! 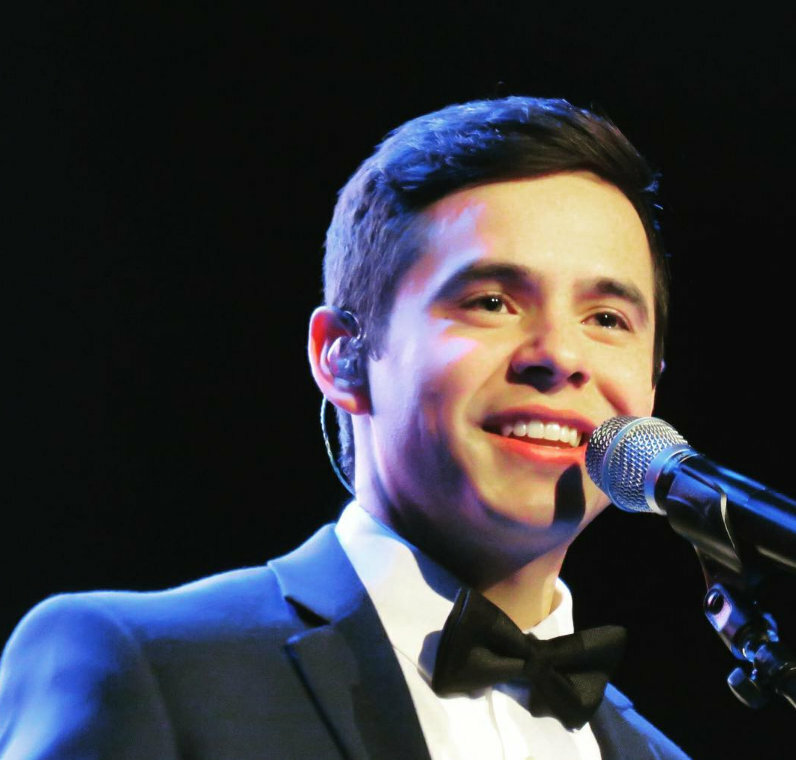 And thanks for posting that video of the end of David’s HYAMLC duet with his mom. 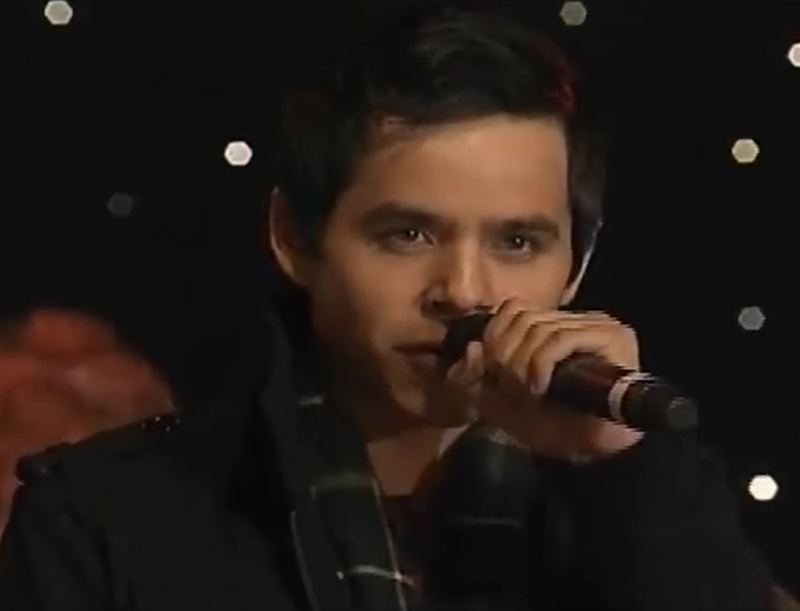 I just love the way he smiles so adoringly when his mom is too choked up to sing! Running out to get some Super Bowl food! Now every mention of football is going to bring to mind the No Air duet for me…guess I’ll just have to live with that. 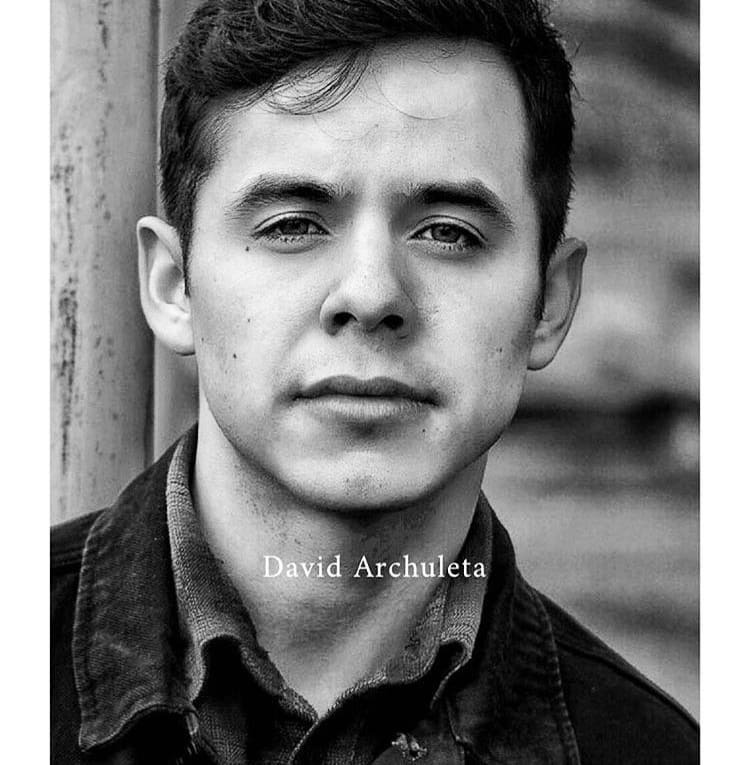 America the Beautiful and the National Anthem… I have been spoiled by David Archuleta, “no one” sings these national songs like him. 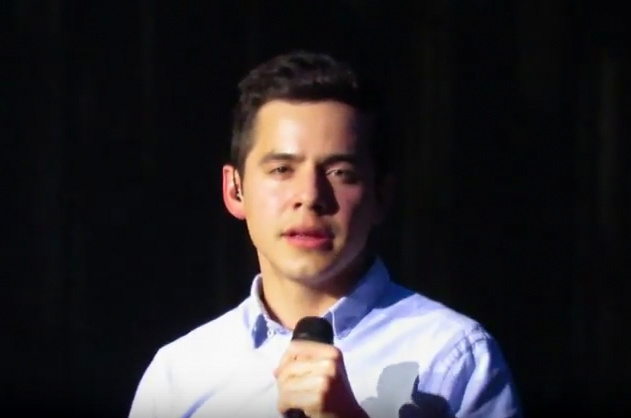 Nobody does an impromptu, a cappella Star Spangled Banner like the great David Archuleta, The Voice! Betsy #87—I like your law!! Abrra #79–What is the story behind this precious photo? It’s a heart-warmer for sure. And, #80–just what my PC needs is more pics. The poor thing probably thinks that’s all it was made to do is store photos, mp3’s and mp4’s, and iTunes. Oh well, it’ll either get over it or blow up (it wouldn’t dare!). You can get a storage stick for backing up your mp3’s etc and get most of them off your main hard drive. Bubbly asked me for the photo in chat last night. I don’t know if there is a story other than what we see. A father lifting his child to touch the hand of the chosen one.